I am usually one not to respond to excessive amounts of advertising. In fact, it makes me like what they’re advertising less. Shatter Me was a book that was always in my face whenever I was surfing through the internet. I’d see several tweets, Facebook statuses, advertisements, etc. everywhere about it. It started to bug me so much that I gave in and bought the book. Ironically, all the advertising seemed to disappear right then. When I finally got to book, I decided to read it without reading what it’s about. All I knew was that this chick’s touch was lethal. It was a very good idea that I didn’t read much because I might have given up reading Shatter Me if it weren’t for the slight curiosities that I had developed. 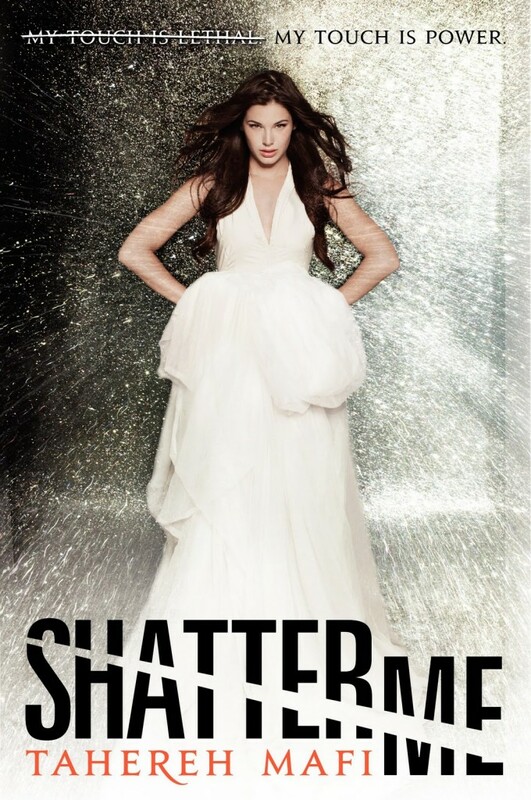 Shatter Me is about a girl who’s been locked into solitary confinement for almost year. She’s been locked up because her touch can drain the power out of others, kind of like Rogue in X-Men. One day, she gets a cellmate, a boy named Adam. There’s something special about Adam, but Juliette can’t put her finger on what that something special is. Is it possible to only think in metaphors? Apparently in the Shatter Me world it is! The story is told in Juliette’s perspective, and the girl personifies EVERYTHING. A couple paragraphs of metaphors are cool. Chapters and chapters of them get exhausting. I understand the author’s motive behind Juliette’s metaphor-heavy thoughts. She’s been in solitary confinement for so long, that has to do something to your mental health. Still, it was tiring and ridiculous. Yes, it made me think Juliette was a little crazy, but it shouldn’t have made me want to laugh. Honestly, the only thing that kept me reading was the romance. The love story is a very big part of the story. It’s gushy, corny and sweeping. There’s a lot more that happens in this story, which I won’t elaborate on because it’s better to discover things on your own. The plot is rather weak though. This book seemed more about setting up for the real story that the sequel will tell. The book actually ended when it started to get really interesting and good. In my opinion, the first two thirds of the book could’ve been condensed into half and we could’ve gotten more of good story. Most of Shatter Me is directionless, and then when it gets some direction, it ends! Oh great, now I got to shed another 17 or so dollars for the sequel, which will be just as heavily marketed that I’ll probably go out and buy it. You can purchase Shatter Me in our TYF Store!